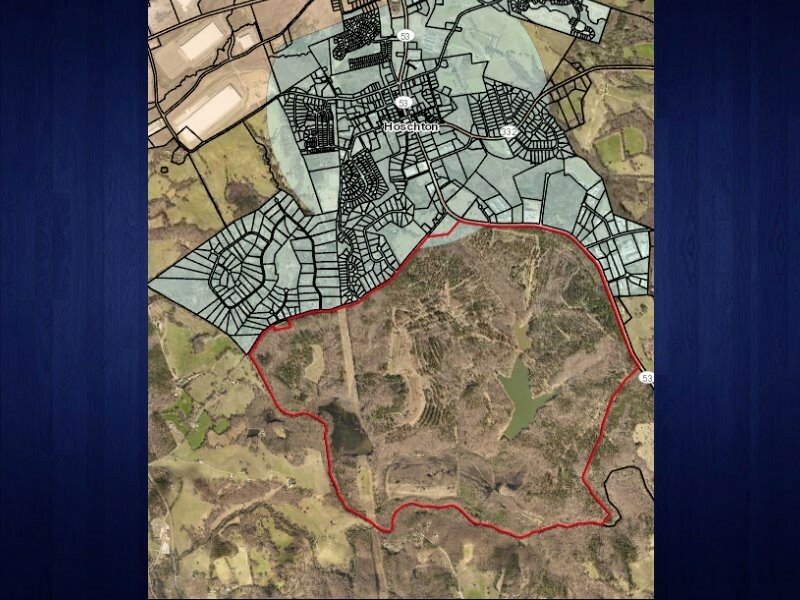 The development would take over approximately 1,500 acres on the south side of Hoschton (outlined in red). The Hoschton City Council will hold its first, and only, public hearing this week on the Twin Lakes development, a 1,500-acre property that, if annexed and rezoned into the city, could double Hoschton's land area and triple its population by 2030. Kolter Homes is looking to build approximately 2,600 homes on the property, which site along Peachtree Road and Ga. 53 on the south end of town. Kolter Homes also built the massive Cresswind neighborhood in South Hall County, a neighborhood that Hoschton City Council toured to get an idea of the type of development that could be coming to its town. Twin Lakes would feature two separate neighborhoods, a gated, 55-and-older community and a "regular" neighborhood, featuring a mixture of townhomes and detached homes, according to April Plank, Hoschton city administrator. There will also be approximately 400,000 square-feet of commercial space on the north end of the property. The development, which will take about 12 years to complete, will cost just shy of $1 billion, according to early estimates submitted to the city in May. City council's hearing is Thursday, Nov. 1 at 5:30 p.m. at Hoschton City Hall. A final vote is tentatively scheduled for Nov. 5.